Cross Mobile Platform-Currently in the Mobile Application Development industry one of the demanding concepts is Cross platform Mobile Application Development. All the businesses prefer to have Cross platform Application development for their mobile applications. The major reason behind it is Cross platform Applications are the best medium to deliver highest quality applications for multiple platforms and also provides cost effective solutions. At Evince Development, our proficient Cross platform developers have wide knowledge in developing excellent mobile applications using Titanium. 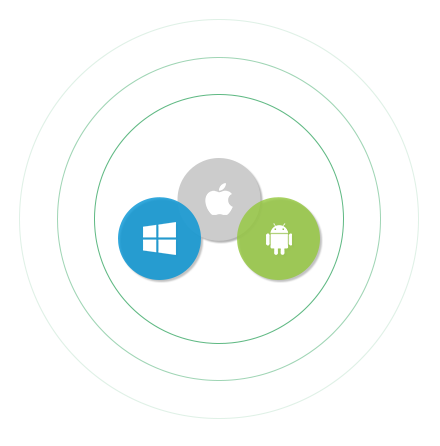 We can also optimize or upgrade your existing iOS, Android and Blackberry application to other operating systems for you to take advantage of the high competition in the market. Evince is a leading Ecommerce web development company having a certified team of skilled Mobile Application Developers. Our programmers have gained expertise in developing various ecommerce websites. They are well aware with popular platform trending in market and comes up with a best possible solution.